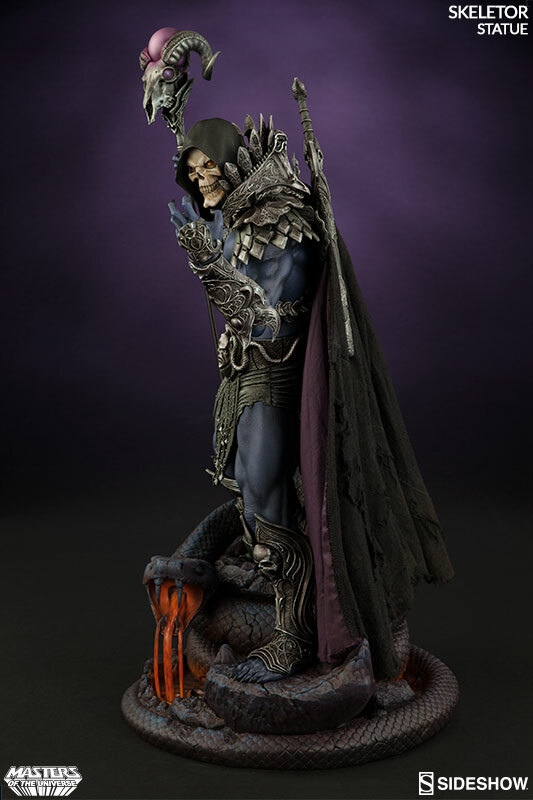 Sideshow presents Skeletor from Masters of the Universe – What a wonderful day for evil! 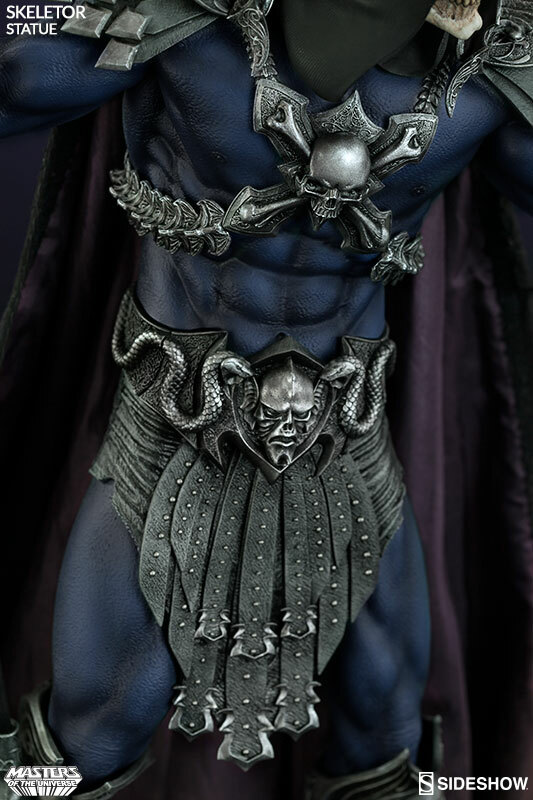 What a wonderful day for evil! 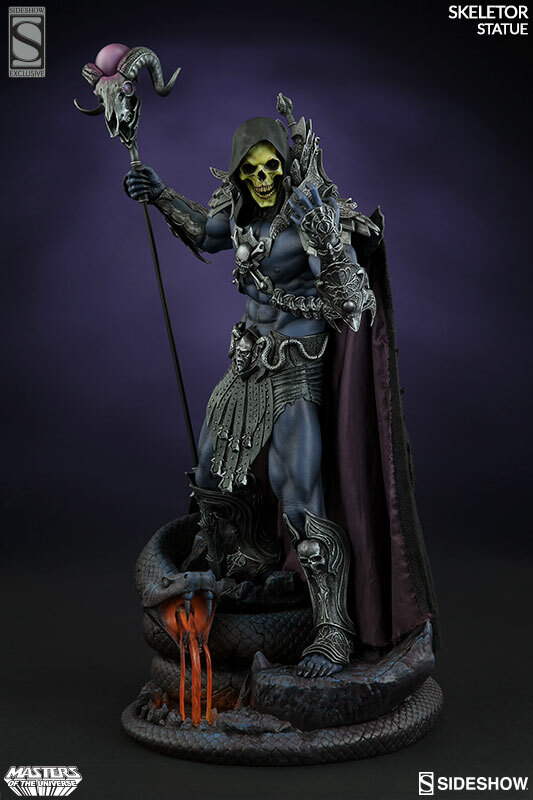 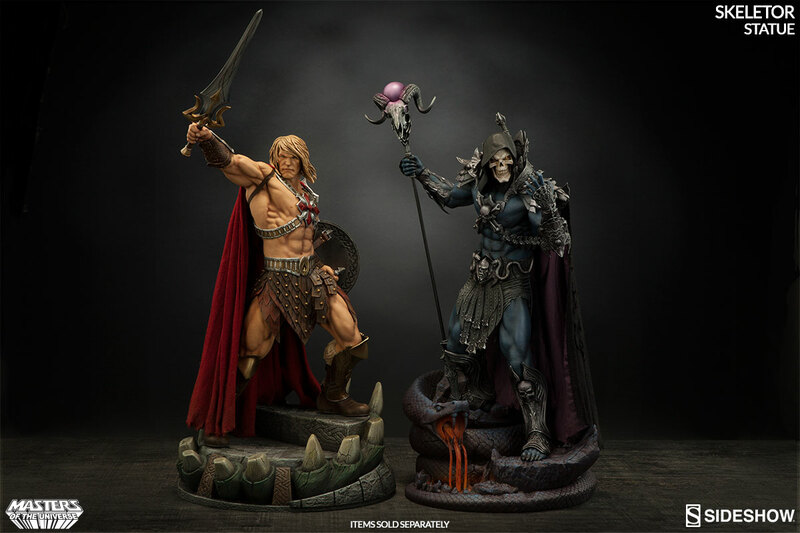 Ready to face He-Man in our new statue collection inspired by the popular 80’s cartoon series Masters of the Universe, Sideshow is proud to present the Overlord of Evil himself – Skeletor! 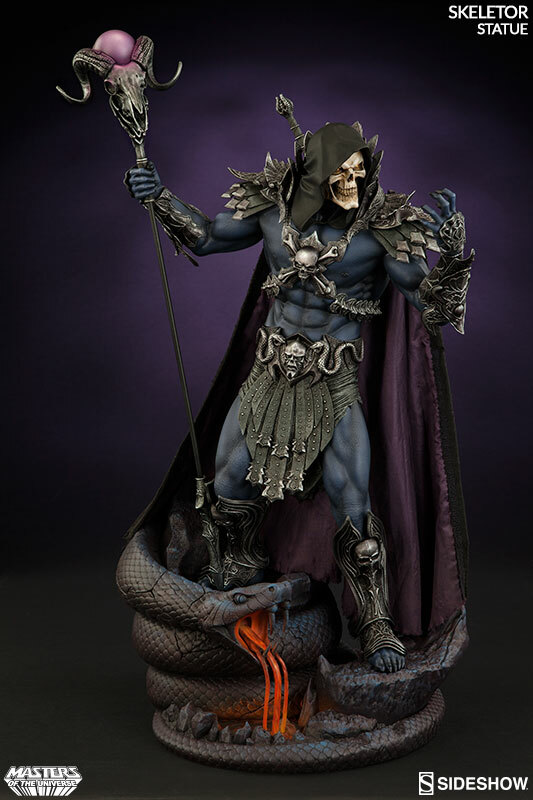 Hailing from the otherworldly dimension of Infinitia, Skeletor rules over the darkest corners of Eternia with an iron fist from his treacherous volcanic base on Snake Mountain. 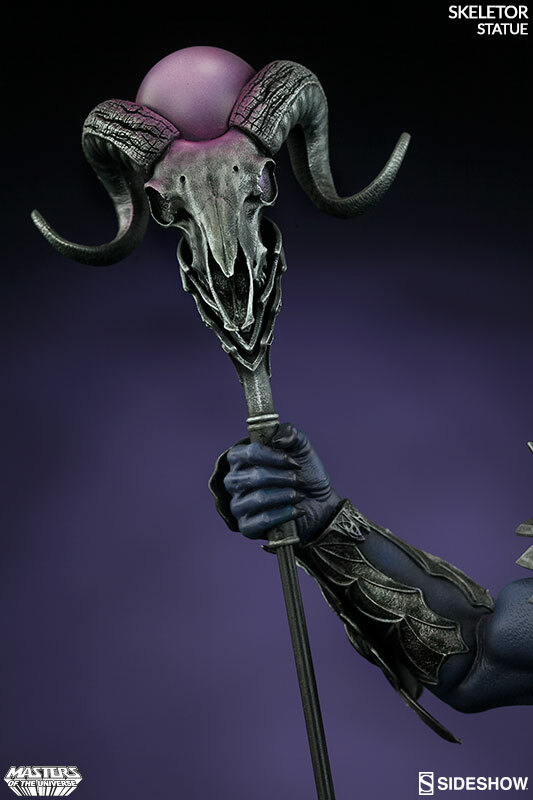 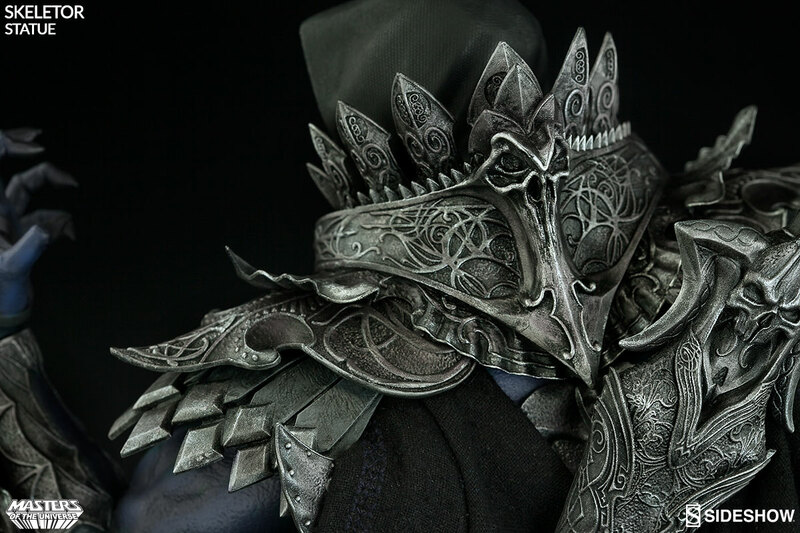 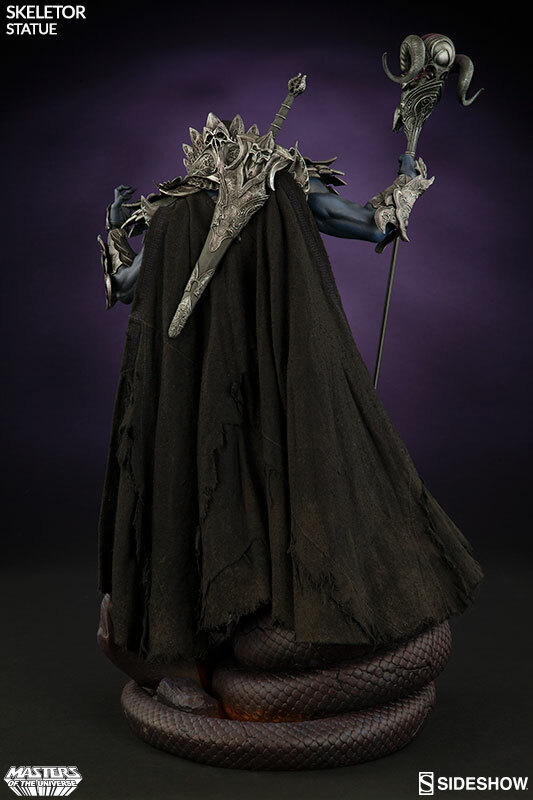 Wielding his enchanted Havoc Staff to command an invisible horde of henchmen and minions, Sideshow’s artists have brought the sinister villain to life with ornately sculpted battle armor and a removable cape. 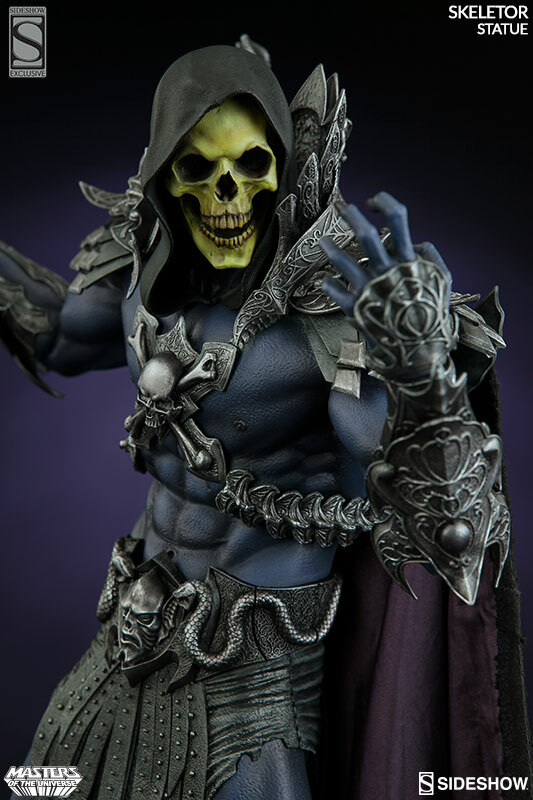 For an extra dose of pure unadulterated nostalgia, collectors who order the Sideshow Exclusive edition can choose to display the devious evildoer with a swap-out yellow skull headsculpt, a tribute to his classic animated appearance (shown below). 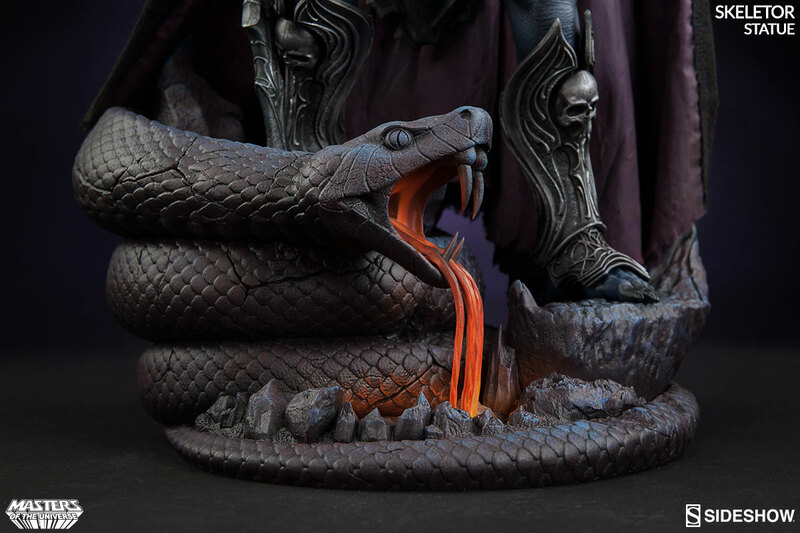 Suitably depicted with his mouth wide open, you can almost hear the barrage of insults spew forth, or that unforgettable piercing cry. 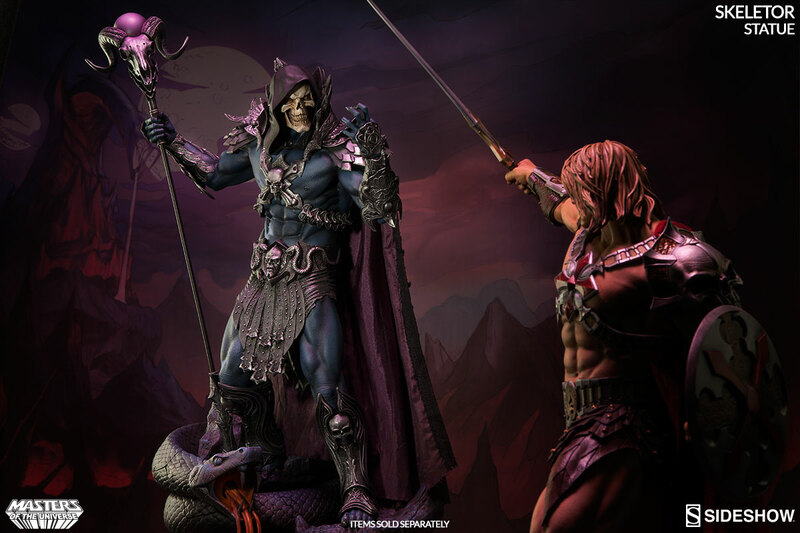 Locked in a never-ending battle against the forces of good, Skeletor will not rest until he possesses the secrets of Castle Grayskull – and if he succeeds, the sworn enemy of He-Man will conquer not only Eternia, but take his place as master of the universe! 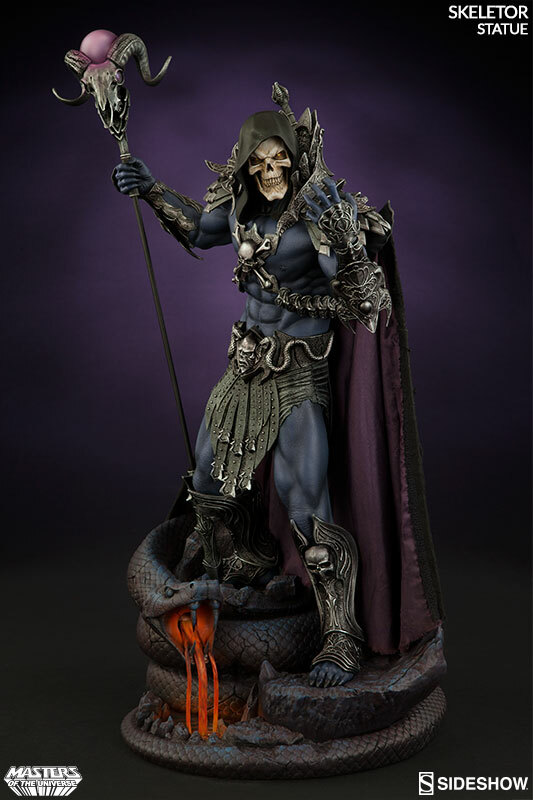 Both the regular and Exclusive editions of the Skeletor Statue will be priced at $449.99, with optional payment plans available. 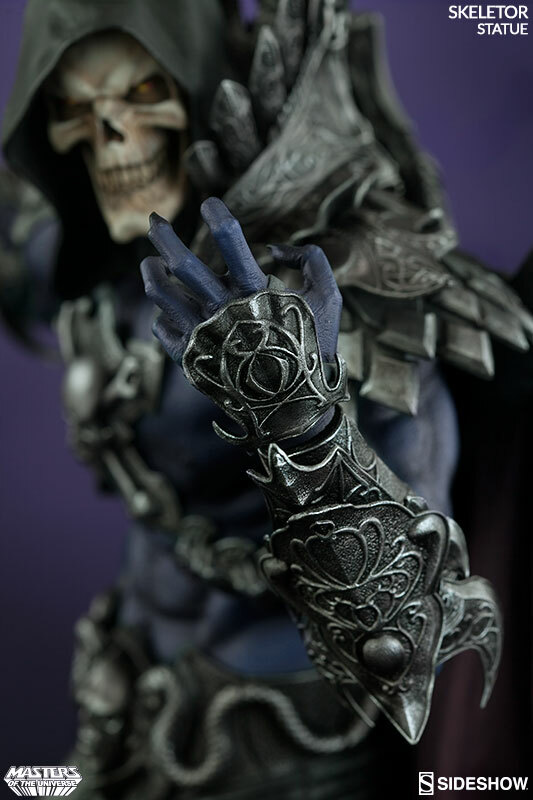 Pre-orders begin this Thursday, January 28th.